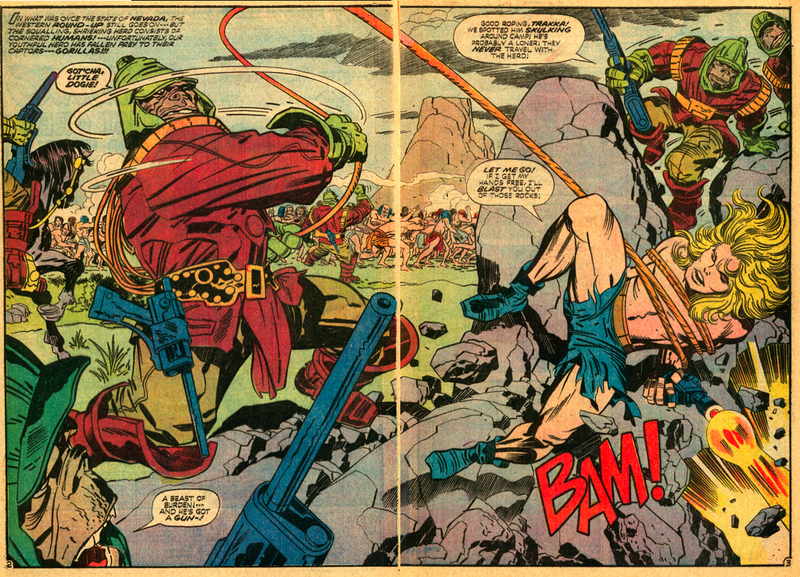 Kirby and Kamandi, showing us how a double page spread is earned and done. This entry was posted in Art Appreciation and tagged Jack Kirby, kamandi, masters. Bookmark the permalink.